WATCH MY "ON DEMAND" VIDEO ON HOW TO FINALLY FIX YOUR GUT AND IBS. ✅How to fix IBS using our exact 3 step easy system. ✅The underlying cause of your digestive problems. ✅The surprising reasons why your gut is the way it is. I remember the first time my gut hurt. I remember it like it was yesterday. I was 21, had just gotten married and we were living in a tiny (but cozy) apartment close to college. Then it happened. It was like I got punched in the gut. The pain was intense and it wasn’t going away. My wife knew something was wrong because I was white as a ghost. This was my first experience with what I’d later learn was IBS, or Irritable Bowel Syndrome. IBS can affect people differently, but pain and cramping are the most common symptoms. 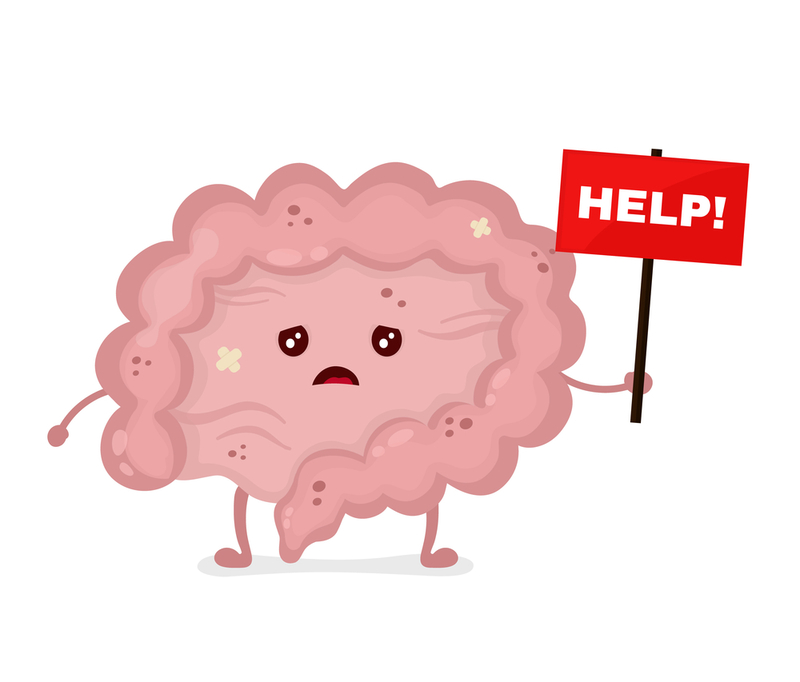 Most with IBS get messed up bowels…diarrhea, constipation, or both. Many get terrible bloating and gas. It can affect every aspect of your life. It’s also nearly impossible to have normal energy when the gut is messed up which is why many with IBS have fatigue. To make matters worse, it’s usually a frustrating experience trying to figure out what’s going on with your gut. Getting an IBS diagnosis is a long, difficult process. Most of the time, a person will come to the IBS diagnosis on their own…like I did. The truth is, most doctors don’t know much about IBS and even less about how to fix it. Which means you’re usually left to figure things out for yourself. Doctors don’t understand that when your bowels get ‘angry’ (that’s how I describe it), everything you eat will make it mad. This is why it can be difficult and frustrating to figure out what’s going on. You’re also told that you have to learn how to ‘live’ with it. You’ll want to watch this FREE video.